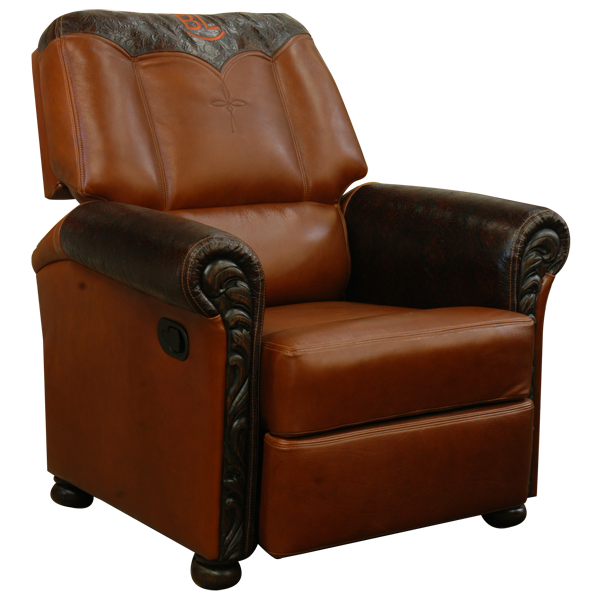 Leather upholstery is extremely durable, and with the right care, it can last a lifetime. 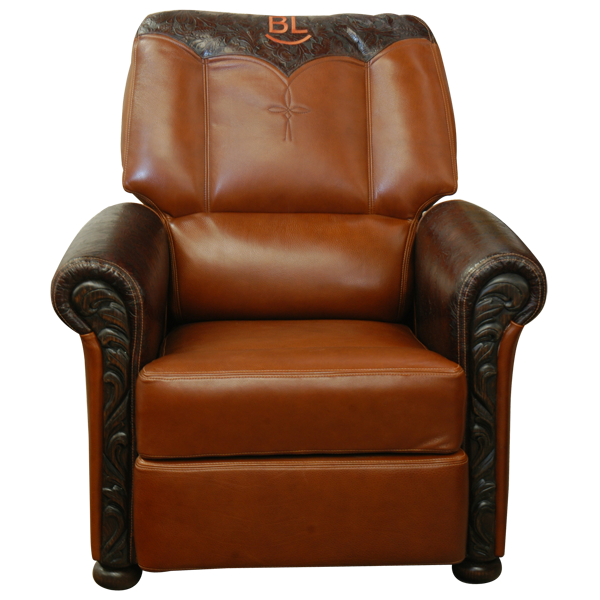 This handcrafted recliner is upholstered with fine leather and the leather upholstery is double stitched for extra strength and durability. 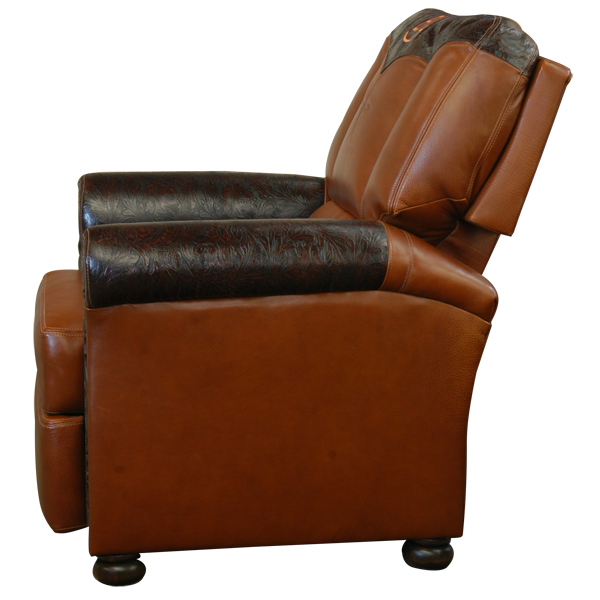 The seat, the lower inside seat back, and the reverse seat back of this custom chair are upholstered with rich, natural brown full grain leather. 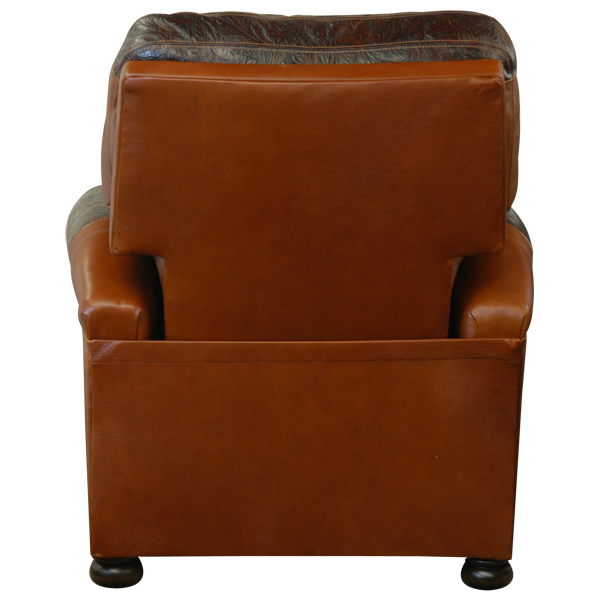 The armrest and the upper inside seat back are upholstered with brown, embossed full grain leather, with a Western cut design on the inside seat back. The Western cut design has the initials of the client hand sewn into the design. Also, an embroidered, Spanish colonial style cross is centered in the inside seat back. This recliner is designed with comfort in mind and it has plush seating, extra padded armrest, and a luxurious headrest and footrest. The reclining mechanism is easy to use and it functions with a fluid, gliding motion. The front of each armrest is adorned with a solid wood panel, decorated with hand carved floral designs. The recliner rest on hand turned bun feet for optimum stability. It is 100% customizable.